Have those special summer picnics outdoors at the Amish Pine Wood Picnic Table with Benches. Please call one of our sales associates with questions or assistance. We are happy to help our customers in anyway possible. 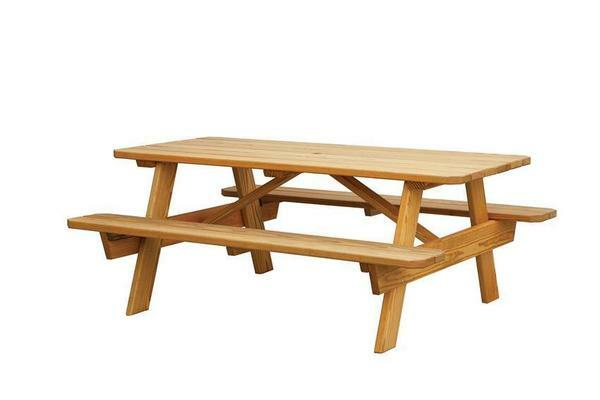 Choose from three picnic table sizes - 5', 6' or 8'. You can feel good about know that you are purchasing an American made product. Shop all of our Amish made outdoor furniture.